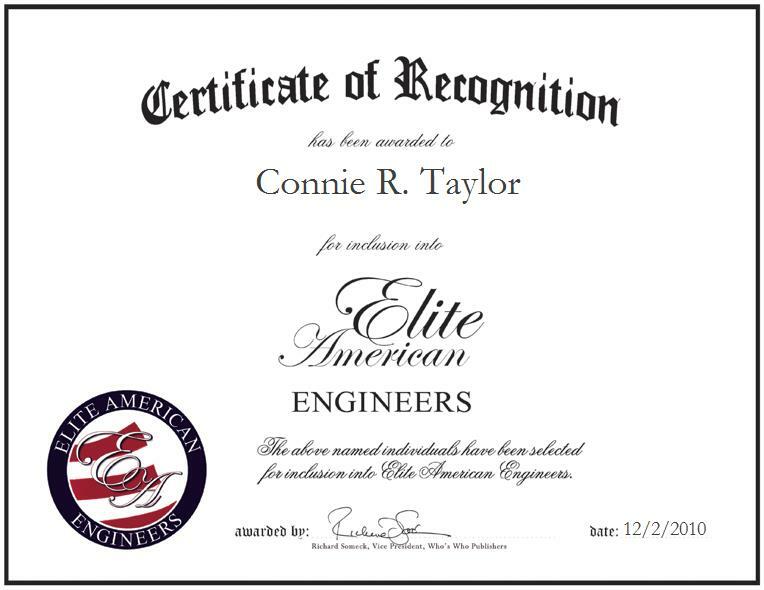 Company: Gas Gathering Specialist Inc.
Decatur, Texas | May 11, 2012, Connie R. Taylor, Pipeline Consultant and Procurement Manager for Gas Gathering Specialist Inc., has been recognized by Elite American Engineers for demonstrating dedication, leadership, and excellence in engineering inspection. With over 23 years of professional experience in engineering, Ms. Taylor is an expert in pipeline inspection. In a primarily male-dominated industry, Ms. Taylor has worked hard to achieve success. She has been the first female to hold a number of her positions within various companies, including her current position as Pipeline Consultant at Gas Gathering Specialist, Inc. Additionally, she personally inspected on the largest mechanized welded gas pipeline at the time in North America, The Alliance Pipeline Project ‘Spread One.’ Attributing her success to her hard work and willingness to continue learning, Ms. Taylor’s greatest highlight of her career was being honored as Professional of the Year in Engineering Inspection for 2009 by Cambridge Who’s Who® Publishing. She is noted for her hard working mentality, adept personality and professional commitment. These traits have facilitated her success in the industry, driving her promotion from entry-level position to her current status. As she moves forward, she will strive to experience continued growth with Wellsco Field Services, LLC. For others striving to succeed in engineering, Ms. Taylor advises to work hard, be mechanical, and look to receive training from experts in the industry. Ms. Taylor holds many certifications, including, CPR Instructor from Devon Emergency Care in 2008, Occupational Safety and Health Administration, Environmental Safety, Assessment for Abnormal Operating Conditions from the National Center for Construction Education and Research, and as a Mechanized Welding Inspector. She has earned recognition as Outstanding VIP in 2010 and Industry Expert in Pipeline Inspection and Construction in 2010 from Cambridge Who’s Who® Publishing. 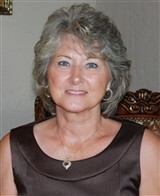 For more information on Ms. Taylor and her expertise, please visit her personal website at http://www.conniertaylor.com.